If you have trouble reading this e-mail please click here. Click [FORWARD] to forward to a friend. 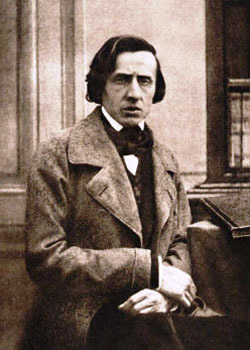 No, this is not a photograph of Christopher Walken – it’s Frederic Chopin! If you are a fan of Frederic Chopin you better move fast if you want tickets to this once in a lifetime event. You will enjoy two different interpretations of Chopin’s works on two grand-pianos. Both Makowicz and Jablonski are world renowned pianists who perform in concert halls around the globe. Fans of solo piano will never forget this evening of classical and jazz versions of Chopin’s compositions. Jaymz Bee will act as emcee. This concert is produced by Joanna Makowicz of J.A.M. Global Arts Management and is under the patronage of the Consul General of the Republic of Poland in Toronto, Mr. Marek Ciesielczuk. You don’t want to miss a rare night of original music by John Southworth! 9:00pm / Tickets only $10 at the door! 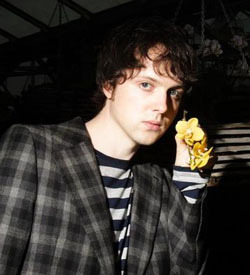 John Southworth has been based in New York City for the past few years, which means his live appearances in Toronto are indeed a rare treat. Southworth is a prolific singer-songwriter whose most recent CD, "Mama Tevatron" is out now on Dead Daisy Records / Outside Music and is available on-line through maplemusic.com. The line up is a who’s who of great Canadian musicians: Christine Bougie (lap steel guitar / keys) Andrew Downing (bass) Justin Haynes (guitar) Jean Martin (drums) Miranda Mulholland (violin/vocals) Janine Theriault (vocals) and of course John Southworth (vocals/keys/guitar). Nikki Payne is just one of the outrageously funny comics appearing at Massey Hall on New Year's Eve! Why not end 2009 with a night full of laughs! Yuk Yuk’s founder Mark Breslin will have you rolling in the aisles with his handpicked crop of the finest comedians in the country, making for an unforgettable New Year’s Eve. This year will feature Glen "That Canadian Guy" Foster and Nikki Payne, and also star Kenny Robinson, Jen Grant, Rob Pue, Sam Easton and Terry Clement. The emcee for the evening is Gerry Dee and music will be provided by Jaymz Bee, Great Bob Scott and Dave Howard. Please note: This is an all ages event and it ends well before midnight, giving you enough time to get home – or to another party – for a second countdown! 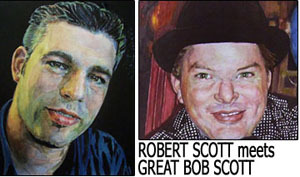 Rob and Bob Scott (no relation) have played soft seat theatres, private parties and will ring in the 2010 at Pantages Hotel! Pantages Hotel is really taking things up a notch this year to ring in 2010. On December 31st you can enjoy the music of Robert Scott and Great Bob Scott, while enjoying a "Tapas" style buffet and a champagne toast at midnight. Jaymz Bee of JAZZ.FM91 will provide groovy tunes between sets and take care of the official countdown. 2010 looks like it will be the year pianist Robert Scott becomes a worldwide phenomenon. Robert is celebrating his birthday (which actually falls on Dec. 31) and will also celebrate the fact that his song "Hollywood Is Dead" will soon be released worldwide in the spring as a brand new single for Michael Buble. This party will sell out so tell your friends and get your tickets now! Should you want to stay at Pantages, they are offering a special New Year Package. Contact the hotel for details. 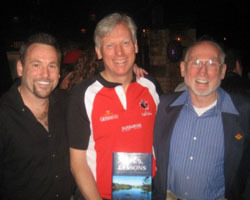 Toronto Mayor David Miller enjoys the sense of humor contained in the Fearnley family book! Just in time for the holiday season and family get-togethers; “Life's Lessons” is a book about family struggles and the lessons learned based on four generations of the Fearnley Family. Father and son authors Ted and Rick Fearnley have had the uncanny ability to find themselves in some sort of trouble, together and on their own, throughout their lives. Since launching the book in Canada over a year ago, they have won an IPPY (Independent Publisher Book Award) for Best Regional non-fiction! This collection of short stories and hilarious true anecdotes can be read one chapter at a time in just a few minutes. There is no better time to purchase a book that the whole family can enjoy! Keep your contact info current - click [PREFERENCES].